Should You Avoid QTS Realty Trust Inc (QTS)? Is QTS Realty Trust Inc (NYSE:QTS) the right pick for your portfolio? The best stock pickers are in a bearish mood. The number of bullish hedge fund positions decreased by 1 recently. QTS was in 15 hedge funds’ portfolios at the end of the third quarter of 2016. There were 16 hedge funds in our database with QTS positions at the end of the previous quarter. The level and the change in hedge fund popularity aren’t the only variables you need to analyze to decipher hedge funds’ perspectives. A stock may witness a boost in popularity but it may still be less popular than similarly priced stocks. 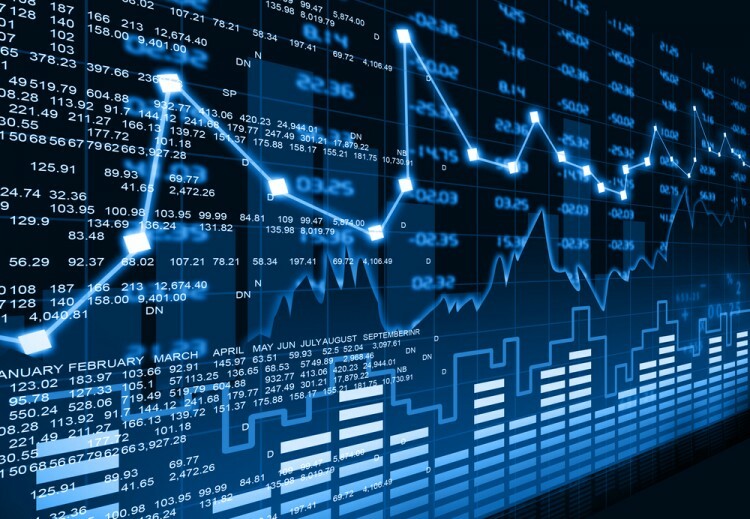 That’s why at the end of this article we will examine companies such as Criteo SA (ADR) (NASDAQ:CRTO), Tenneco Inc (NYSE:TEN), and PDC Energy Inc (NASDAQ:PDCE) to gather more data points. What have hedge funds been doing with QTS Realty Trust Inc (NYSE:QTS)? Heading into the fourth quarter of 2016, a total of 15 of the hedge funds tracked by Insider Monkey were long this stock, a fall of 6% from one quarter earlier. 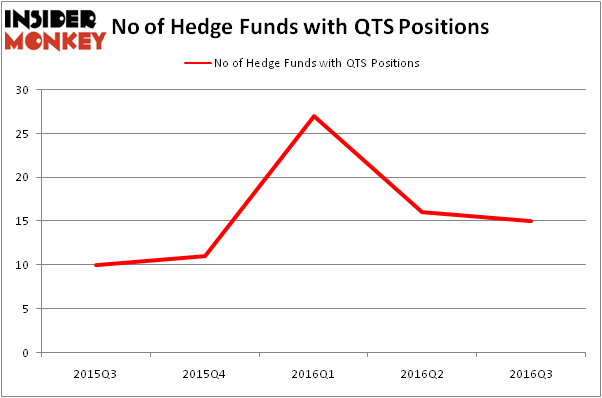 The graph below displays the number of hedge funds with bullish position in QTS over the last 5 quarters. So, let’s check out which hedge funds were among the top holders of the stock and which hedge funds were making big moves. Of the funds tracked by Insider Monkey, Amit Nitin Doshi’s Harbor Spring Capital has the largest position in QTS Realty Trust Inc (NYSE:QTS), worth close to $29.9 million, amounting to 5.8% of its total 13F portfolio. On Harbor Spring Capital’s heels is Land & Buildings Investment Management, led by Jonathan Litt, which holds a $19.6 million position; the fund has 5% of its 13F portfolio invested in the stock. Remaining professional money managers with similar optimism include Ken Heebner’s Capital Growth Management, Stuart J. Zimmer’s Zimmer Partners and Israel Englander’s Millennium Management. We should note that Zimmer Partners is among our list of the 100 best performing hedge funds which is based on the performance of their 13F long positions in non-microcap stocks.